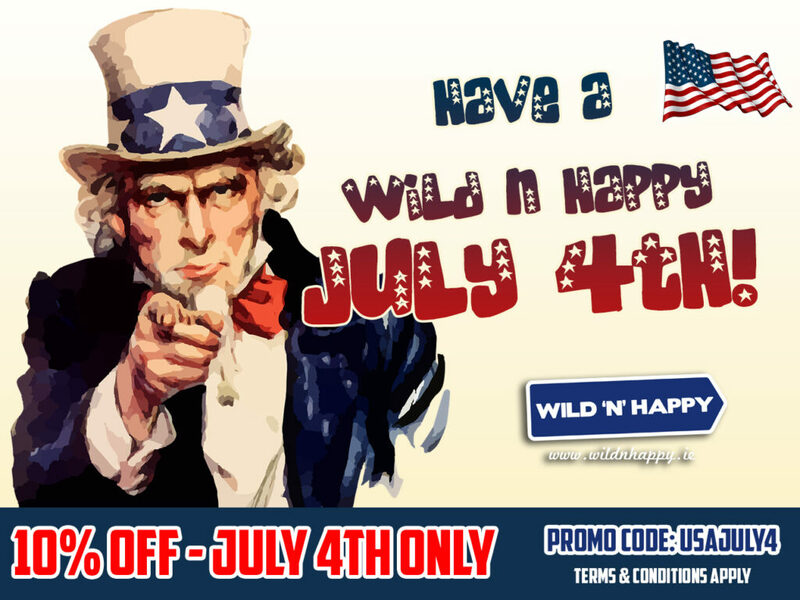 Celebrate July 4th with Wild N Happy tours! We hope everyone has an amazing July 4th, especially to all our American friends. We’re offering 10% off all our tours for one day only! Simply select one of our tours on wildnhappy.ie or moractivetours.com and enter the code “USAJULY4” to get 10% off the tour price. This promotion is for one day only, so book your spaces now for your ultimate small group adventure in Ireland! The discount does not apply to any additional activities or accommodation extras that are booked afterwards.